I am very excited and hype to announce the launch of my new weekly video show Freelance Jumpstart TV. Starting on October 23, 2015, every week I’ll share with you tips, advice and how-tos on how to build a successful online business as a creative entrepreneur. When I first started as a freelance web designer I had to learn things the hard way through trial and error. I want to make things easy for you, so you can focus on getting your idea off the ground and taking your business to the next level. As a part of the show, I will also answer questions. 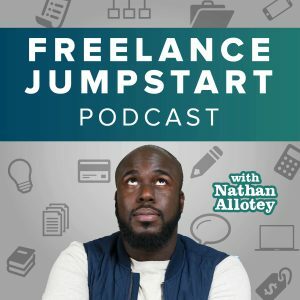 Use the #freelancejumpstart hashtag on twitter or email me directly and I’ll make sure to answer your question on the show. Thank you for subscribing, see you online.